This is a weekly series of five lists of essential information for the coming college football weekend. This week, Nick Saban’s mad about having great QBs and Texas has LOST TO MARYLAND TWICE. Alabama might have the best quarterback in the nation The Ringer’s Rodger Sherman posits that the Crimson Tide have the best signal-caller in the country running the show with the selection of Tua Tagovailoa as starter over Jalen Hurts. And, yeah, that’s true, and, yeah, the rest of the country is absolutely screwed because of it. But the bright side of all this is Nick Saban, paranoid at the thought of what happens if Hurts tries to take advantage of the new transfer rules right before Tagovailoa suffers a season-ending injury, has decided to start a season-long war with the media. I could have given you a whole long spiel on the politicking that’s going on here and will no doubt continue all year, but here’s the long and short of it: Saban shouldn’t behave that way to any reporter when asked a question, let alone a good question from ESPN’s Maria Taylor about the very pertinent ‘Bama QB situation. And if we’re being honest, Saban knew that the moment he went into full Oompa-Loompa rage mode. So why did he do it? Listen closely to how he phrases his response. Saban says that Taylor was trying to get him to “say something bad” about Hurts. All Taylor asked was about the status of the QB situation after a game, but Saban seems to think he’s being asked to declare one player as the starter going forward, and thusly making the other guy the back-up would be saying something derogatory about them. Or, in other words, Saban thinks if declares either Tua or Hurts as the back-up, he’ll hurt their feelings. Maybe enough to, you know, exercise their right to leave and go play somewhere else. Nick’s smart enough to know he was going to take heat for this behavior nationally, but as long as it keeps the kid who’s 28-2 in his career as a starter around in case of emergency, he’ll be fine playing the short, angry villain. Throw Miami into the Atlantic Ocean The U is most certainly not back. In fact, they weren’t back last year when they started 11-0, otherwise their first lost wouldn’t have been to Pitt and a true-freshman QB. The U is only going to be back when the Hurricanes don’t just beat top-tier talent, they dominate them on a consistent basis, the way they did for one magical night last November versus Notre Dame but stretched out for a full season. What we’ve now seen from Miami in the last 4 games played going back to last year is ugly-looking performances where seemingly nothing works and the magic of the Turnover Chain can’t swing momentum. And yet, they’ll still probably win 10 games because that’s the lack of talent in the Coastal division right now. Kansas should absolutely move down from FBS to FCS football SB Nation’s Matt Brown says the Jayhawks might as well look at getting rid of football altogether. Bill Self has (regrettably) built a basketball dynasty that’s kept this Titanic afloat, but it’s becoming harder and harder to watch after what felt like a predictable overtime home loss to Nicholls. Soon, it might not even be profitable for new athletic director Jeff Long to keep trying to make this cow swim. Oh well, at least that one win is guaranteed against Texas (TRY AND FIGHT ME, ‘HORNS FANS. TRY TO TELL ME IT’S BETTER THAN IT LOOKS, 2-TIME TERP LOSERS). Burn Michigan’s offense to the ground and start all over Jim Harbaugh seems to be living in a world where, as long as the players dress in the traditional uniforms and run the same offense he was using under Bo Schembechler, the Wolverines are going to be just fine. That’s not even close to the case after Shea Patterson’s debut made it seem like Jake Ruddock is going to forever remain Harbaugh’s only kinda-good QB. A lot of why the Wolverines struggled so much against Notre Dame has to do with the speed and improvement on the defensive line of the Fighting Irish, and Patterson shouldn’t shoulder that much blame. But Ol’ Nervous Bird Harbaugh? Oh buddy, throw it all in the trash. Start from scrap. The offensive line is both poorly recruited and poorly coached. Try to make at least one more halftime adjustment from the zero versus the Irish. Let Patterson work more from the gun and get rid of the ball quicker against a heavy rush. Something. Just change it all, because right now Harbaugh’s offense makes a mockery of an admittedly talented team that he has assembled. Kyler Murray’s going to do just fine I found out that this offseason featured a number of analysts claiming Murray didn’t have the arm strength to give the Sooners the same pop throwing the ball as they did with Baker Mayfield. And yes, Murray might not be the historically efficient player that Mayfield was, but he threw for 209 yards on just 11 attempts versus Florida Atlantic, otherwise known as an even 19 yards per attempt. He’s good. Real good. Auburn While perhaps not enough to topple Alabama in the SEC West, the Tigers look like they’re going to make damn sure it’s a fight. Large adult sons like Marlon Davidson, Derrick Brown and Dontavius Russell were flying around and making Washington QB Jake Browning completely wet the bed late in the game. Mississippi State 3 different quarterbacks played for the Bulldogs instead of Heisman dark horse and starter Nick Fitzgerald, and while the opponent was FCS side Stephen F. Austin, head coach Joe Moorhead’s debut included 63 points and 618 total yards of offense. Keeping up that pace with Fitzgerald back in for a road game at Kansas State makes Clanga terrifying. Boise State Brett Rypien torched one of the nation’s more underrated defenses in Troy for 305 yards and 4 touchdowns on 28 attempts. God help UConn. Stanford JJ Arcega-Whiteside had 226 of QB K.J. Costello’s 332 yards passing against San Diego State, and that was on a night where Bryce Love struggled. The Cardinal might have added a new dimension to their offense. 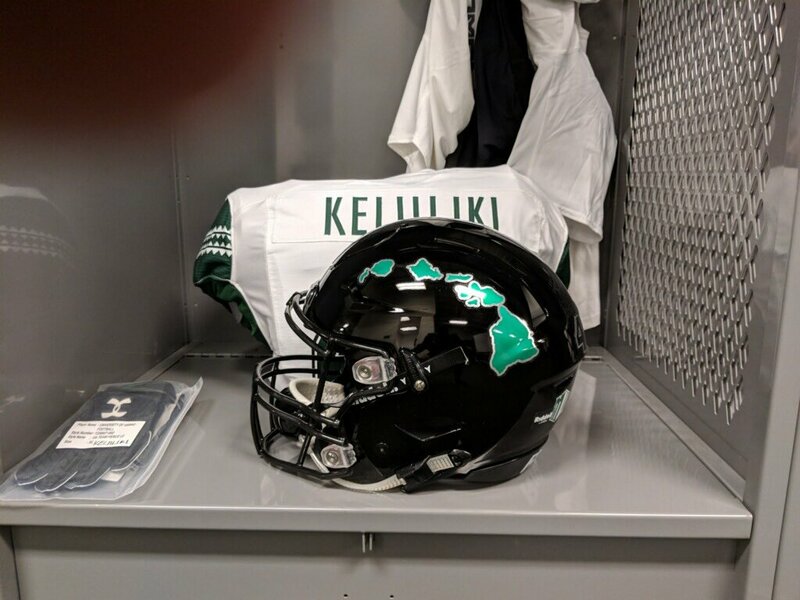 UCF My god, McKenzie Milton is going to wipe the floor with everyone spinning the magic bean. An effortless throw moving to his right for a 50-yard TD was the first of 5 scoring tosses against UConn. Nobody’s stopping the Knights’ offense again. Texas TWO. TIME. TERP. LOSERS. UCLA Chip Kelly’s return to college football didn’t just come with a home loss to Cincinnati. The Bruins scored just 17 points under a once-prodigious offensive coach. Florida State Willie Taggart’s debut was another where offense seemed like an impossible task. Bud Foster’s defense shut down the Seminoles with almost an entirely new cast to get Virginia Tech a drubbing of a win. Arizona Kevin Sumlin and offensive coordinator Noel Mazzone’s approach to making Khalil Tate a better passer seems to be taking away his running ability. You know, the best thing he does. The Wildcats had 10 points after 3 quarters against a BYU team coming off 4-8 because of this hubris. Purdue The better football team did not win last Thursday night in West Lafayette, but the younger and more mistake-prone team did lose after the Boilermakes handed Northwestern plenty of opportunities they were all too happy to cash in. Michigan State Barely squeaking by Utah State at home to open the season? Yep, Sparty’s on track to win 10 games in typical bizarre and ugly fashion. Notre Dame Huge win against Michigan unless you actually watched the game, where QB Brandon Wimbush’s hot start throwing the ball was stymied in the second half and the Irish struggled in general to get the ball moving after grabbing a 21-point lead. LSU Nick Brossette piled up 125 yards and a pair of long TD runs, but the Tigers offense looked average and leaned on big plays from the defense. It’s exactly what we expect them to be, but shouldn’t be enough to be up by as much as 30 on Miami. Ohio State Scoring at will was impressive, sure, but how about a young defense giving up 31 points and 7 plays of 20 yards or more to Oregon State, who’s going to struggle to move the ball on everybody? Buckeyes have work to do this week versus Rutgers to be ready to slow down TCU next week. Michigan I don’t normally like berating teams and players for how they play in this incredibly difficult game, but my goodness was the Wolverines’ offense pathetic against Notre Dame. Forget all the playoff predictions I may have made, Jim Harbaugh might struggle to win 8 games if he doesn’t burn it all to the ground and start over with QB Shea Patterson and Co.
Washington The loss to Auburn won’t completely damage their New Year’s Six chances, but it does put them behind the 8-ball. A general fourth-quarter meltdown from QB Jake Browning makes the Huskies third in the Pac-12 for right now. Auburn The Tiger defense was fast and furious in Atlanta on Saturday afternoon, and QB Jarrett Stidham was solid as usual, but if War Eagle takes advantage with a fast start and blows Washington out, I’d put them on the list in a heartbeat. For now, it’s only one game with sloppy moments that just barely keep them off the list. West Virginia Another team that just missed the list after a complete thrashing of Tennessee. Will Grier was actually a little sloppy early but rounded into form, and Tony Gibson’s defense looked like it make take big steps forward in 2018 with the addition of transfers like enormous nose tackle Kenny Bigelow. LSU The Tigers are not good enough to challenge Alabama or Auburn in the SEC West, and Sunday’s win had much more to do with how poorly Miami played. However, I’m willing to keep them on the radar for now after the emergence of running back Nick Brossette. Virginia Tech Head coach Justin Fuente’s team is extremely young, but that did not seem to phase them at all on the way to pasting Florida State. It’s just not quite enough to surpass even a few other teams in this group that were just on the outside looking in. 12. Boise State While this opening weekend provided a reminder that UCF is still absolutely going to be a strong contender to claim the Group of 5 slot in the NY6, the Broncos certainly made an impressive statement by steamrolling on the road past a really good Troy defense 56-20. Brett Rypien seems to have found some new stars amongst a fresh-face corps of receivers like Sean Modster, who torched the Trojans for 167 yards and 2 touchdowns. 11. Miami (FL) Normally, a loss like the one the Hurricanes suffered to LSU would get you booted waaaaay off this list. But here’s the thing; outside of Virginia Tech’s young pups looking really good at FSU on Labor Day night, the rest of the ACC’s Coastal division doesn’t appear to have made enough strides that the ‘Canes will be knocked off a 10-win perch. Unless the Hokies win the Coastal, Miami is going to face Clemson for the ACC championship and win enough games in the process to earn a NY6 slot. But this could absolutely turn into VaTech in the coming weeks. 10. USC The Trojans went with true freshman J.T. Daniels at quarterback but looked deeply unimpressive in beating UNLV. Washington probably should occupy this spot, since the Huskies certainly didn’t lose to a bad opponent in Auburn, but I’ll reserve judgment until after this week’s showdown with the Cardinal to say if the Pac-12 is only going to have one NY6 team. 9. Michigan State A big argument to made that either Washington or Auburn should be on this list again comes from an unimpressive showing by the Spartans on their way to edging out Utah State. But Sparty and head coach Mark Dantonio just win games, so as long as they stay on track to win 10 or more games, I like their chances of ending up in a NY6 game. 8. Wisconsin No problems for the Badgers against Western Kentucky, and while quarterback Alex Hornibrook doesn’t quite look an X-factor just yet, his 257 yards and 2 TDs agains the Hilltoppers was solid enough that duplicating that performance 11 more times is going to get the Badgers to a third straight NY6 bowl. 7. Ohio State The defense has some serious work to do before Week Three’s showdown in Arlington with TCU, but scoring 77 points and getting 313 yards and 5 passing TDs from new QB Dwayne Haskins means the Buckeyes are going to be electric in their own right. 6. Oklahoma Kyler Murray’s debut was spectacular, and the Sooners took it to a good Florida Atlantic team in every phase in what was arguably Saturday’s most impressive win. 5. Georgia Keep an eye on electrifying sophomore Demetris Roberston, who won an appeals battle in the offseason with the NCAA to become unexpectedly eligible. Although listed as a wide receiver, Robertson could join Mecole Hardemen as weapons that provide depth to the running game, as evidenced by his first career touch as a Bulldog being a 72-yard TD run versus Austin Peay. 4. TCU New QB Shawn Robinson’s 3-touchdown debut makes it seem like the Horned Frogs are now stable and stocked at every position, making them slight Big 12 and playoff favorites over Oklahoma. 3. Stanford Sure, they’ll be able to run the ball at will and play stingy defense, but big and burly wide receiver JJ Arcega-Whiteside’s 226 yards and 3 TDs against San Diego State might mean that David Shaw has added another dimension to his team, making them early Pac-12 favorites. 2. Alabama Tua Tagovailoa might have a future at this quarterbacking thing. 227 yards and just 4 incompletions on 16 attempts is what he did in part-time duty versus Louisville, meaning the Tide are going to be terrifying on offense in big games. 1. Clemson The Tigers are so loaded that heading to College Station for a night game against a coach that’s extremely familiar with them doesn’t seem the least bit intimidating. The big development was how highly-touted freshman QB Trevor Lawrence looked in part-time work, throwing for 137 yards and 3 TDs against Furman and giving a glimpse of why many, including yours truly, think he makes the Tigers unstoppable if he takes over as the starter for veteran Kelly Bryant. This is a weekly series of five lists of essential information for the coming college football weekend. This week, it’s Labor Day, it’s time to start a new season and, once again, YEA WE’RE COMIIIIINNNNN. TO YA CITAAAAAYYYYY. Bryce Love The star Stanford running back will touch the ball more than anyone else on the Cardinal offense. Repeating his feat of over 2,000 yards rushing is more than likely. Khalil Tate While the Heisman is often a quarterback-driven race, the one guy who seems like the surest bet now to be in contention late is the Arizona junior signal-caller, an oddity given that his team isn’t expected to win 10 or more games. If Tate’s passing ability catches up to his electric running style in the open field, he becomes Lamar Jackson 2.0. Jonathan Taylor Another running back that will not lack for touches, the Wisconsin sophomore has the best offensive line in the country in front of him and has one top-10 opponent on his schedule (at Penn State) that doesn’t come until the second weekend of November. Tua Tagovailoa If Saban makes the call to let the Alabama sophomore start at quarterback right away this week versus Louisville and doesn’t pull back on the reins, the Hawaiian’s going to put up fantastic numbers with a whole host of talent around him on the Tide offense. Shea Patterson I’m one of those people who’s high on Michigan’s chances because of the addition of the Ole Miss transfer, the most dynamic QB that Jim Harbaugh has coached in college since Andrew Luck. If the Wolverines are ready to make serious Big Ten and playoff runs, Patterson will be in the spotlight. SEC physicality We talk so much about how the game is played at a faster pace in the Southeastern Conference that we forget to mention how big and strong these teams are as well. Yes, it’s a given Auburn will have monster dudes on the offensive and defensive lines, but given how good a job Chris Petersen has done building a beefy roster in the Huskies, guys like junior left guard Marquel Harrell and junior defensive end Marlon Davidson should not go unnoticed. Jarrett Stidham Gus Malzahn’s top returning rusher is a 5’10”, 192-lbs scatback in junior Kam Martin, and Washington has All-Pac-12 nose tackle Greg Gaines leading a powerful front seven. At least for this game, Malzahn should loosen up the offense to throw the ball more and trust the Heisman darkhorse he has at QB, as well as deep threat receiver Darius Slayton. The defensive front seven Linebackers Deshaun Davis and Darrell Williams return after great 2017 seasons, and Davidson teams with Derrick Brown and Dontavius Russell to make for a fearsome group of Tigers in the front of the defense. Coordinator Kevin Steele also famously knows how to draw up unique blitz schemes, something that can come in handy late against a veteran Husky QB in Jake Browning. Ryan Davis The speedy wide receiver has proven to be a game-breaker any time he touches the ball, whether on short screens, reverses or lined up in a kick/punt return. Redemption Auburn played their final 2 games of 2017 in Mercedes-Benz Stadium, the SEC championship game defeat to Georgia and a Peach Bowl loss to undefeated UCF. The Tigers will head back to Atlanta with another national audience awaiting them and a great chance to make an early playoff impression, so their motivation will be high. 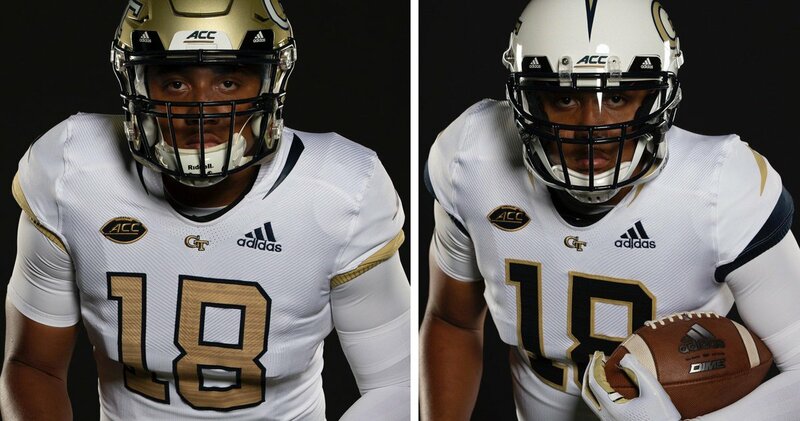 Georgia Tech Sing hallelujah, the Yellow Jackets finally ditched Russell as their jersey supplier. Bees are lookin’ good for the first time in a while. 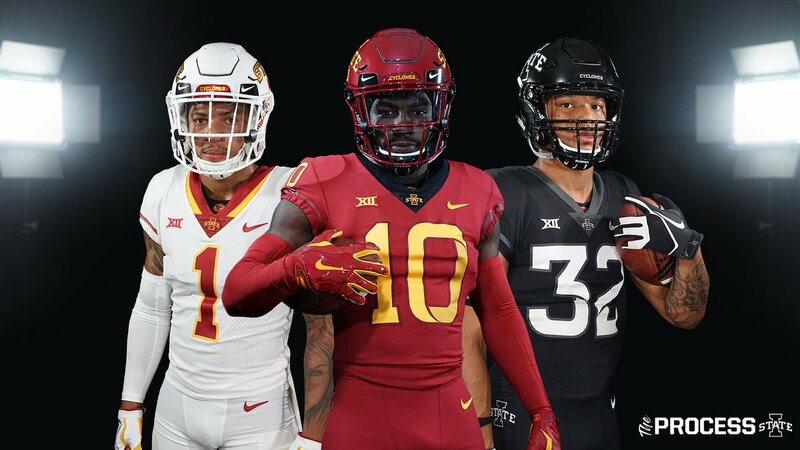 Iowa State Matt Campbell made the Cyclones nationally relevant in 2017 and decides his next act will be…well, ok I guess, but…what’s with the black one? 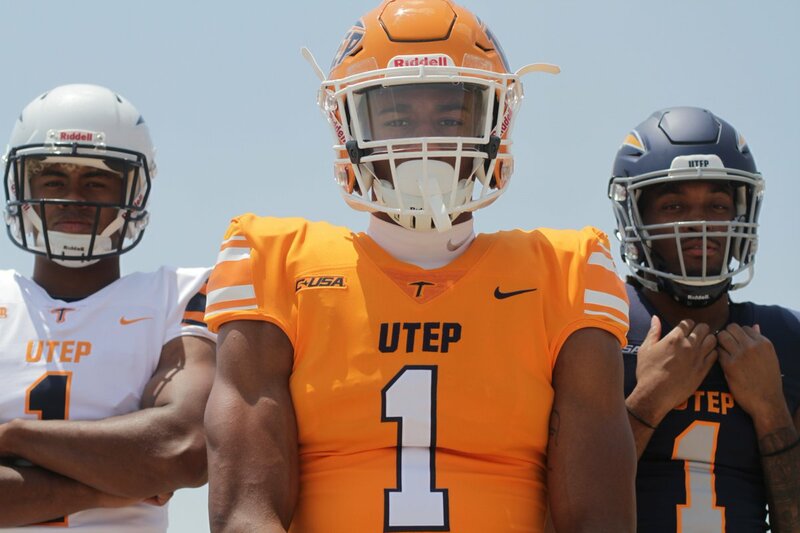 UTEP You might not watch them much this season, but they will look clean. Texas I’ve made the prediction the last 2 years that TEXAS IS BACK, FOLKS and look foolish in the process. Maybe the ‘Horns surprise this season with QB Sam Ehlinger back for a second season, but I’m not going to be snake-bitten again by the folks in Austin. That’s Michigan’s job this year. LSU Another team I’ve foolishly tried to believe is better than what they actually are. But the fact remains that the Tigers are always a solid team, and All-Americans Devin White and Greedy Williams set up a scary-good defense. All Coach O has to do is get a little eenie-teenie bit of offense from…(checks notes) Joe Burrow. Oh. Arizona State Oh no, I’m not saying the Sun Devils will surprise us as a good football team. Yes, N’Keal Harry is a first-round receiver prospect and Manny Wilkins is back at quarterback, but the Devils hired Herm Edwards as their new head coach. Yeah, that Herm Edwards. ASU’s going to surprise us in how much we care about their press conferences and the things Herm says. Like the one preseason anecdote he’s already given about how we don’t huddle anymore and it’s killing our society. Gold. Florida State Another program that is perennially a contender in the ACC and always has talent to spare. Alumni and new head coach Willie Taggart left Oregon after one season for his dream job and is bringing along a host of Bobby Bowden disciples to his staff. If he can clear up the QB controversy between Deondre Francois and James Blackman, sophomore running back Cam Akers has a chance to be a star leading a dark horse playoff contender. Florida I didn’t even have the Gators make honorable mention in the rankings because they’ve already had a hilarious offseason incident that will get many of their best players suspended, so it’s like Jim McElwain never left. But Dan Mullen has taken over his alma mater, and if he doesn’t win right away he will down the road. Running back Jordan Scarlett has a little Melvin Gordon in him that Mullen would be wise to lean on. 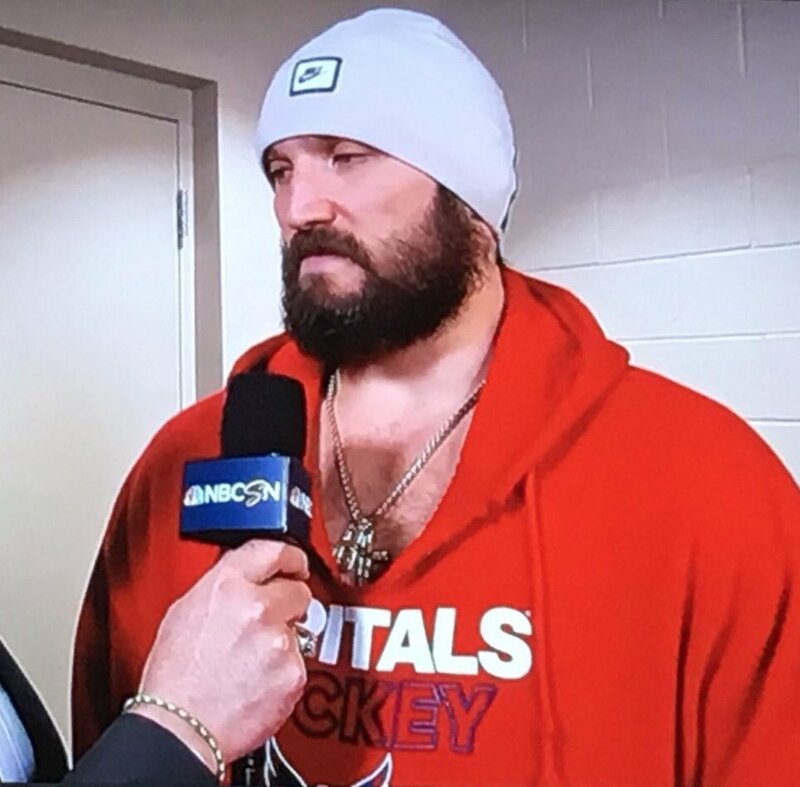 I want you to take a good, long look at the greatest hockey player on the planet and the reigning Stanley Cup champion. That’s not a man, that’s a machine. Bulls bred for clashes with matadors aren’t that hefty. 99 percent of his build isn’t muscle, it’s solid cement. There was a time when college football, like the NFL now, was all about quarterbacks. Vince Young’s legendary performance in the Rose Bowl to dethrone mighty USC didn’t just inspire a generation of future players, it convinced a corps of up-and-coming coaches that if you found the right guy at QB, you do anything and beat anybody. We are living in a golden age of professional quarterbacking, but that’s only because we once bathed in the sunlight of (not-really-all-that) amateur signal-calling. Brad Smith, Tim Tebow, Cam Newton, RG3, Andrew Luck, Johnny Manziel, Marcus Mariota and Lamar Jackson are just the guys who won or contended for Heisman Trophies in VY’s vein. The list of great college quarterbacks over the last decade-and-a-half could go on and on. But then, as that list continued to grow, something happened. Coaches were getting star QBs but not winning star-studded games. The Vince Young’s of the world weren’t toppling empires on their way to championships. Instead, a new dynasty emerged in USC’s place, and the rare times the new Evil Emperor wasn’t on top, a lieutenant with an eerily similar plan of attack would seize power. Forget just the College Football Playoff era’s short-live history, and forget even the incredible, dynastic run that Nick Saban and Alabama extended last January. Going back to Urban Meyer’s first BCS title at Florida in 2006, the national champion of the highest level of college football has looked at the formula that Young and Texas laid out on that epic night in the Rose Bowl and instead offered the alternative: why waste my energy on finding a great QB when I can build a great team with any average QB? Chris Leak, Matt Flynn, Greg McElroy, Derron Thomas, Everett Golson, Cardale Jones and Jake Coker are names you recognize but not immediately. That’s because these men, while not becoming the next Vince Young, did become eventual champions. Saban, Meyer and (for one wacky season) Les Miles all built outstanding teams around the quarterback position with the belief that loading up on all 21 other positions meant whoever took the field and commanded the huddle was poised to do anything but fail. Even Dabo Swinney, the man who bucked the trend by reaching back-to-back title games and toppling ‘Bama 2 years ago behind a great team and a great QB, seems to have gone along with the crowd by building a roster brimming with 5-star talent everywhere except one particular spot, where career backup Kelly Bryant got his chance last season and, while being predictably solid as a season-long starter, was not nearly ready for the challenge of staring down Saban and Dante’s Football Infero. Trust in the system, or perhaps even a Process, comes from the results that have borne fruit for Saban. 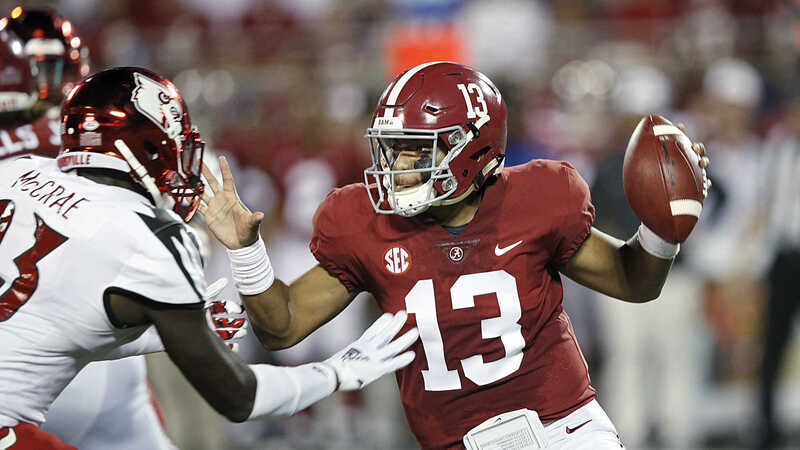 Consider that down 2 scores in last season’s penultimate title game, Saban turned to a true freshman with only mop-up duty experience, and Tua Tagovailoa was the second bright-eyed gunslinger to see the field. Jake Fromm played all year for Saban protegee Kirby Smart, another coach building his program in the image of his former boss. Alabama not only played for but won another national title, beating similar-looking programs in Clemson and Georgia in the CFP along the way, because they embody the new college football mantra. Quarterbacking doesn’t matter the way it did when Vince Young beat mighty USC. Transcendent stars like Young and Deshaun Watson are once-in-a-generation, and therefore far too hard to recruit. But top-tier talent at every other position has and still does grow in bunches. It’s basic farming: one crop that is rare and valuable is too hard to grow, so why not just harvest crops that come bountiful? And so we have reached the pinnacle of this philosophy, the height of a new age in college football that looks a lot like the origins of the game. Welcome to the era of the Absolute Unit. The best quarterback in the country in 2018 once left Florida for Morgantown, West Virginia, because he thought it was a more nuanced place. The second-best quarterback in the country is a former lacrosse player. And the guy who might earn the highest draft position of any QB has played in a bowl game once. Programs are not built on the QB, they are built around him. Alabama and Georgia reached the title game last year because Fromm could step in for the injured Jacob Eason and be joined by All-Americans at every position, but especially on the offensive line and the defensive front seven. The same beefy building plan for a program has reaped great rewards for Wisconsin, TCU and others on their path to elite ascension. College football’s superstars don’t play QB, even if we still try to give the Heisman to one every year. The preeminent stars in the game play with their hands in the dirt or on their knees. Lineman, linebackers and running backs who don’t mind either a good truck stick or a foot race for the end zone are the crown jewels of recruiting classes amongst the sport’s blue-bloods. If you happen to come across a generational talent at QB, good for you. But you better hope there’s a defensive tackle on your squad who’s just as likely to be a top-10 draft pick. As we embark on the start of the 2018 season, it worth revisiting the Clemson Tigers, the team joining Alabama as consensus playoff-berth holders and easy preseason top-5 rankings. Clemson had a historically good QB in Watson that guided them to back-to-back national championship games, a feat only Saban had been able to pull off in the modern era. But Deshaun wasn’t the only star on those Clemson teams. Christian Wilkins emerged as a force to be reckoned with playing both tackle and end on the D-line right away as a freshman. Shaq Lawson and Kevin Dodd combined to be the best pass-rushing duo in the country 3 years ago, and the additions of Clelin Ferrell and Dexter Lawrence since have not missed a beat. Clemson built wildly talented teams in the trenches to go with their start quarterback, so much so that they returned to the playoff post-Watson and likely will do so again this season, where Alabama could be waiting for a fourth straight year. The reason QBs play second fiddle in college football is because the rest of the country is simply following suit. Who’s Hot: Navy Losing 6 of your final 7 regular-season games doesn’t really count as great momentum, but consider that the Midshipmen started 5-0 and cracked the AP rankings before a 3-point loss to AAC runner-up Memphis started their slide. 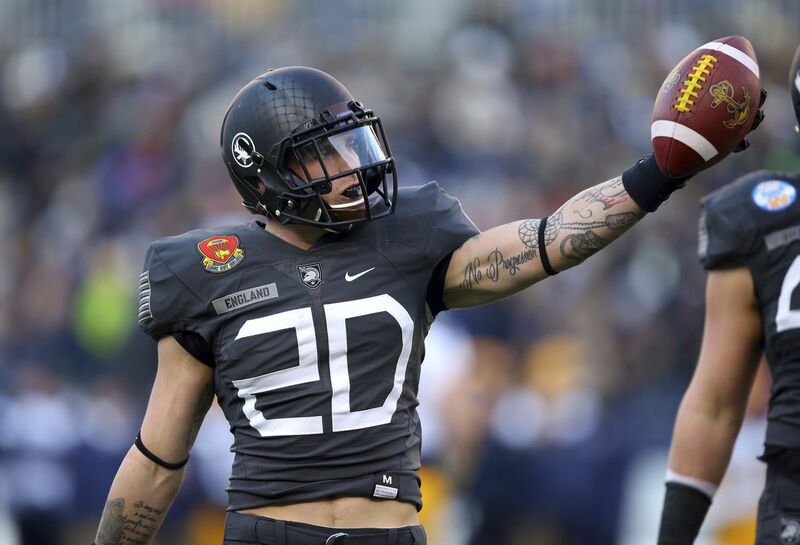 Plus, the Academy capped off the season by thrashing Virginia in the Military Bowl. The top 2 rushers from last season are back, and considering Zach Abey and Malcolm Perry have both played quarterback, backfield stability will not be a problem. Who’s Not: Connecticut Randy Edsall’s return means they’ll score a few more points. After that, good luck trying to watch them without having everything invested in the punter, sophomore Brett Graham (he averaged just about 38 yards per kick, that’s quality puntin’). Mild Sauce: UCF Don’t get me twisted, the Knights are still probably the best team in the conference and one of the best Group of 5 teams in the country. But do you really trust Josh Heupel in his first head-coaching job to get to the same level as Scott Frost, a guy who appears to be able to make programs as good as SEC division champions with a snap of his fing(laughs at movie reference, doesn’t feel so good, fades away to ash). Best Future Pro: Ed Oliver, DT, Houston Run. Whether it’s trying to draft him or you’re a South Florida back who somehow ended up getting the carry on a power counter right towards the best future Cougar alumni since Case Keenum, just run. Run very fast. Best Player: McKenzie Milton, QB, UCF The stats might not reflect it, but he’ll be better than he was in 2017 with a year of experience and more responsibility to shoulder. And this kid threw for 4,000 yards and accounted for 45 total touchdowns. Champion: Navy While UCF will win the Eastern division again, the Knights lack the talent on defense after losing stars like Mike Hughes and Shaquem Griffin. The Midshipmen just win under Ken Niumatalolo, and they’ll dethrone Memphis in the West before beating Central Florida on their way to making a case for a New Year’s Six appearance. Why’s Notre Dame here? No other FBS independents will be worth talking about this season, so let’s get the Irish out of the way in the conference that they are already quasi-members of and won’t completely join because they are COWAAAAAAAAAAAAARDS. They’ll be really good. The defense will fly around and make some plays. But Brian Kelly isn’t returning to a NY6 bowl with a QB the caliber of incumbent Brandon Wimbush. We said you need average quarterbacks to win these days, and Wimbush has struggled to do even that. Who’s Not: North Carolina Larry Fedora’s yelling about how scientists are working on an evil plan to destroy football. Sounds like a man trying to avoid all discussion about how the Heels will be dead-last in the league. Mild Sauce: North Carolina State Louisville’s on the wrong side of being just okay, while Boston College trends upward, so let’s talk about how Dave Doeren’s done such a tremendous job building the Wolfpack over the last few years that when Bradley Chubb and Friends finally became draft-eligible, Doeren was left to look around and hope top QB prospect Ryan Finley can pull off some magic and somehow make the Pack again good enough to push Clemson and Notre Dame to the brink. Best Future Pro: Christian Wilkins, DT, Clemson We really should have seen all this coming when Wilkins was out-running other lineman during the Tigers’ fake punt 3 years ago in an Orange Bowl win over Oklahoma. Dudes at 6’4″ and 300 pounds shouldn’t move like that. Best Player: A.J. Dillon, RB, Boston College Steve Addazio loves him some guys being dudes, and Dillon proved to be a dude beyond his years after rushing for almost 1,600 yards as a true freshman. 4 of 5 starters return to the Golden Eagles’ offensive line to pave the way for a huge second act. Champion: Clemson Come on. You think you can stop Wilkins, Ferrell, Lawrence and Austin Bryant? And then stop 5-star recruits Xavier Thomas and KJ Henry when those guys sit down? Coastal champ Miami might have the goods to be a little more competitive this time around, but the Tigers are just too much. Who’s Hot: Michigan State You may have forgotten that the Spartans won 10 games last season, which is totally fine because junior QB Brian Lewerke is on the rise and has All-American senior running back LJ Scott and top senior receiver Felton Davis to go with a stingy defense only replacing 2 starters, so you’ll know all about them real soon. Mild Sauce: Penn State & Wisconsin 2 teams harboring playoff dreams have really the same problem, just inverted. The Badgers are loaded across the board but still have a question mark at quarterback in senior Alex Hornibrook. Meanwhile, the Nittany Lions have to replace almost all of QB Trace McSorley’s supporting cast. Either way, somebody else is going to have just a little bit more in the tank. 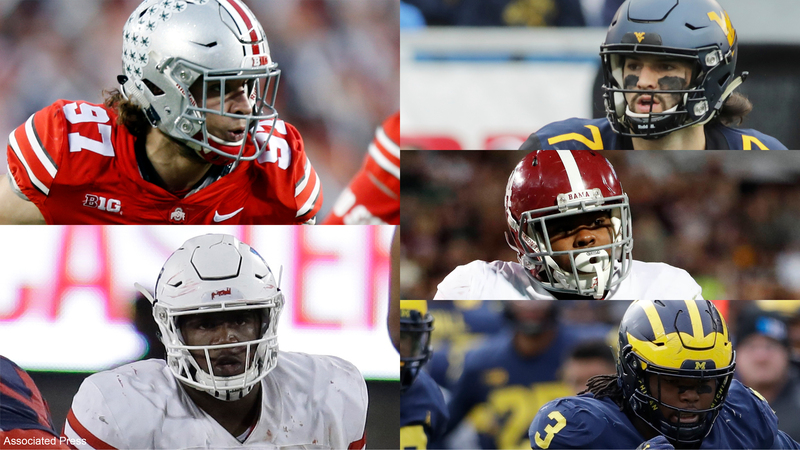 Best Future Pros: Nick Bosa, DE, Ohio State & Rashan Gary, DE, Michigan Hated rivals each boast impressive defensive lines and a potential top-10 draft pick. Bosa is just older brother Joey all over again, while Gary’s size means he can kick inside on occasion and help stuff the run, something he does extremely well for an edge rusher. Best Player: Jonathan Taylor, RB, Wisconsin Running behind the best offensive line in America helps you out, but Taylor had to be pretty talented already to fall just 23 yards short of 2,000. 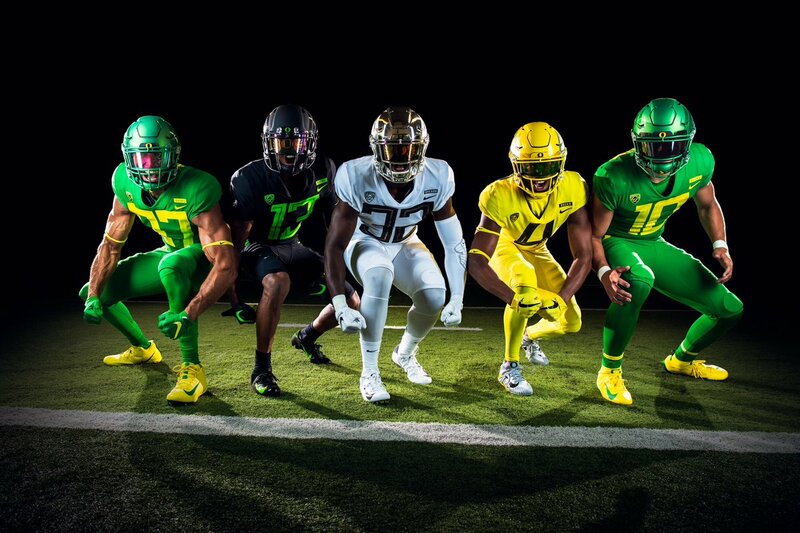 The rest of the B1G West is terrified of what his Act II will look like. Champion: Michigan Congrats to the Wolverines, this year’s recipient of my Traditional Power that I Stupidly Think Will be a National Title Contender Award (it’s worked out great for Texas the last 2 years, just ask). The addition of Ole Miss transfer Shea Patterson means Jim Harbaugh finally has a guy at QB who’s proved he can be a game-changer. As long as Patterson makes a couple of big throws every game and Karan Higdon runs wild again, the defense is going to be nasty enough that this is the year Harbaugh topples rivals Michigan State and Ohio State and knocks off Wisconsin for the conference crown. Who’s Hot: TCU Take out of the equation that QB Kenny Hill and All-American LB Travin Howard are gone, and this is the same team that won 11 games last season. Defensive end Ben Banogu will cause nightmares for quarterbacks in a pass-happy league, and as long as new starting QB Shawn Robinson isn’t a disaster, there are playmakers a-plenty in Forth Worth for the Horned Frogs to work with. Mild Sauce: West Virginia QB Will Grier and touchdown-machine WR David Sills V give the Mountaineers a chance to score a gazillion points, but until such time as I witness a Dana Holgorsen defense not give up those same gazillion points, I’m gonna be a bit skeptical. Best Future Pro: Rodney Anderson, RB, Oklahoma Lost in Baker Mayfield’s march to the Heisman last season was the Sooners discovering a breakout star in the backfield. Anderson can do everything and translated that into almost 1,500 yards from scrimmage. He could have Le’Veon Bell-type ability to go with similar physical build and athleticism. Best Player: KaVontae Turpin, WR/KR, TCU Criminally underused in his college career, Gary Patterson needs to break the all-purpose threat loose. Turpin is the fastest guy on the field every week, and his game-breaking ability as a return man can be applied on offense if co-coordinators Sonny Cumbie and Curtis Luper just give him more touches. Champion: TCU Kyler Murray should step in and help Oklahoma not miss a beat, but the Horned Frogs will reign supreme in the Big 12 this year. A Week Three win versus Ohio State in Arlington will send the message loud and clear: these Frogs are championship ready. Who’s Hot: Florida Atlantic The Owls were arguably the hottest team in the country to wrap up 2017, winning their last 10 games to score a whopping 568 points, finish 11-3 and claim the league title. And just who is guiding the ship of what might be the best Group of 5 program in the country? JOOOEEEEEEEEEEEEY FRRRRRRRESHWATERRRRRRRRRRRRRRRRRRRR. Who’s Not: Rice I didn’t need “walk-off field goal to beat Prairie View A&M in Week Zero” to tell you these Owls would be bad, but it does save me some writing. Mild Sauce: Florida International Butch Davis won 8 games last year and has a potentially entertaining offense, but he’s only got 3 people on the planet saying Paws Up because he’s coaching in the same state and division as JOOOOEEEEEEEEEEEY FRRRRRESHWATERRRRRRRRRRRRRRRR. Best Future Pro: Azeez Al-Shaair, LB, FAU Somebody would have looked like a genius if they snagged the senior in the late parts of the first round last year, but he came back to school to seek even better draft stock. He’ll probably earn it. Best Player: Devin Singletary, RB, FAU His sophomore season just meant more explosive plays for a guy with almost 2,950 career rushing yards. Junior season means building a big-time draft reel and maybe making a sneaky Heisman run. Champion: Florida Atlantic Florida State castoff De’Andre Johnson only makes them more explosive. Circle 2 dates: a Labor Day weekend opener at Oklahoma and a September 21 trip to UCF. Win both, and the Owls are going to talk about more than just a NY6 bowl. JOEEEEEEEEY FRRRRESHWATERRRRRRRRRRRRRRRRR. 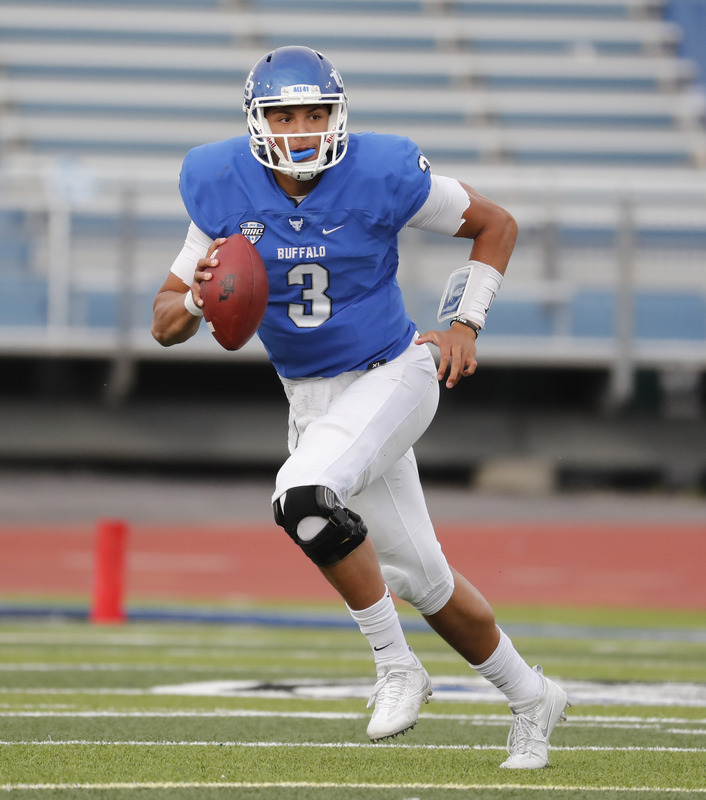 Who’s Hot: Buffalo QB Tyree Jackson is the best player you’ve never heard of. The junior finished last season averaging 341 yards passing and tossed 9 TDs in the final 4 games of 2017. His mobility gives the Bulls a dynamic star in the making, and a guy you might mistakenly call Lamar a few times in the process. Mild Sauce: Western Michigan PJ Fleck’s departure meant the Broncos don’t #rowtheboat anymore, but Tim Lester and running back’s Jamauri Bogan’s presence meant they still swam steadily upstream at 6-6 and will likely do so again. Best Future Pro: Max Scharping, LT, Northern Illinois The 6’6″, 320-lbs senior looks like a cornerstone prospect at a position where that prototype gets you drafted high and paid big. Best Player: Anthony Johnson, WR, Buffalo Being 6’2″ and 207 lbs while still be able to sprint with the best of them makes you big-play capable, and Johnson is one of the nation’s underrated gems. He posted over 1,300 receiving yards and 14 TDs as a junior and should do better with the improvement of his starting QB. Champion: Buffalo Having the most explosive offense in the league and one of the best in the country means Lance Leipold is ready not just for his first winning season-the Bulls are good enough to take on the likes of Ohio, Northern Illinois and Toledo and win the MAC. Who’s Hot: Fresno State Jeff Tedford reminded us all how good he is at this football thing when his first season back in the saddle yielded 10 wins and a division title for the Bulldogs. The combo of senior QB Marcus McMaryion and senior wideout KeeSean Johnson will yield lots of points and a chance for Fresno to get back in the NY6 conversation. Who’s Not: New Mexico Just like Urban Meyer, Bob Davie still managed to keep his job after reporting uncovered serious off-field issues within the program. Unlike Urban Meyer, Davie doesn’t win football games, so your guess is as good as mine as to why he’s still employed. Mild Sauce: Wyoming The belief NFL scouts had that Josh Allen is a star seemed to seep into the Cowboy coaching staff, who decided to stop running their program like a normal team and just put all the responsibility on Allen. Craig Bohl’s too good a coach for that to continue, and they’ll be better without Allen, but not enough to finally win the league. Best Future Pro: Andrew Wingard, S, Wyoming Scouts who came to Cowboy tape looking at Allen probably had their eyes caught by the veteran safety who proved to be a consistent playmaker. Wingard has over 360 career tackles, 22.5 tackles for loss and 8 interceptions already on his resume. 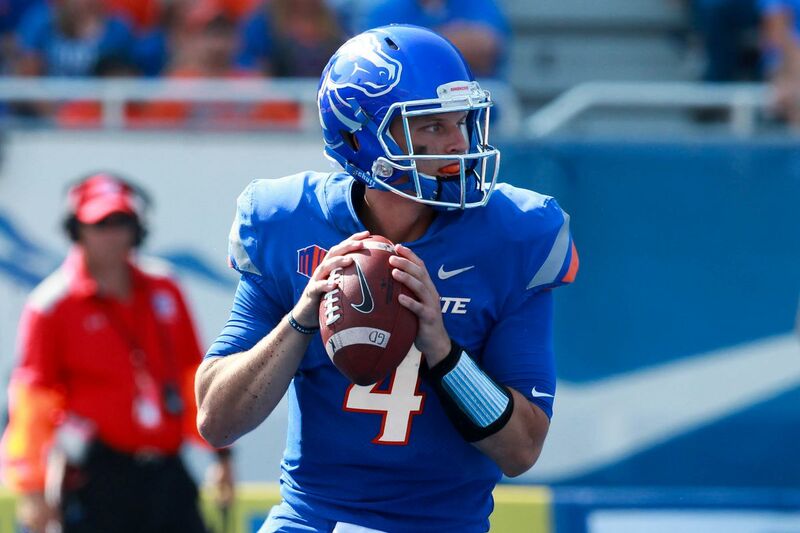 Best Player: Brett Rypien, QB, Boise State If there were ever a season for Mark Rypien’s nephew to break through and become a full-fledged star, this would be the one. The offense is loaded, and a career with 9,876 yards passing should not go so unnoticed. Champion: Boise State The Broncos and Fresno State should meet again in the conference title game, this time with a NY6 spot at stake. Who’s Hot: Stanford If the defense finds a way to get a consistent pass rush against a league full of talented quarterbacks, all the pieces are in place for another title run. Bryce Love might be the Heisman favorite, the secondary will be stiff, and KJ Costello has lots of big targets to throw to. Who’s Not: Oregon State Beavers aren’t going to be good, but they will have most of America rooting for them in Week One when they visit Ohio State (please somehow win please somehow win). Mild Sauce: Washington They will be right there in the thick of things with USC and Stanford for the conference crown, but even when they won the league title with a ferocious and star-studded defense, their playoff matchup with Alabama went lopsided. This team isn’t that talented. Best Future Pro: Bryce Love, RB, Stanford His one big concern for the next level will be the tremendous level of tread that’s already on the tires. He had 269 touches last season alone. Best Player: Khalil Tate, QB, Arizona The Lamar Jackson comparison has been used most, but the junior is not quite as polished a passer as Jackson was this time last year. If he can develop under new head coach Kevin Sumlin, he’s already won quite a few games for the Cats just with his legs. Champion: Stanford The September schedule is brutal, but it may prime the Cardinal for their late-season showdown with Washington. If they have just one conference loss by that time, they can knock off the Huskies and beat USC in a title-game rematch. Why’s Army here? Jeff Monken went from wheeling and dealing at Georgia Southern in their FCS days to helping the Cadets finally sing second and beat Navy. The Black Knights won 10 games and were quietly one of the best stories of 2017, meaning there are other FBS independent besides South Bend worth keeping an eye on. Losing starting QB Ahmad Bradshaw hurts, but the defense is experienced and backs Darnell Woolfolk and Keil Walker return to give West Point a solid chance at a bowl game again. Who’s Hot: Appalachian State Even the loss of 4-year starting QB Taylor Lamb isn’t slowing the Mountaineers down. Who’s Not: Texas State They’re bad and they’re from the Sun Belt, the deadliest of combinations for ever being on TV. Mild Sauce: Your opinions on the league I mean, it is called the Fun Belt for a reason, but how much will you honestly watch? Best Future Pro: Blace Brown, CB, Troy You don’t come up with 11 interceptions in a 2-year span unless you can make plays, because teams generally don’t throw at lockdown corners. Best Player: Jalin Moore, RB, Appalachian State Rushing for 1,000 yards in back-to-back seasons has boosted the senior’s draft stock. Champion: Troy The Trojans have one of the nation’s most underrated defenses. If they can prove stingy against Boise State in Week One, they will start to make some noise in the Group of 5. Who’s Hot: Mississippi State The hire of Penn State offensive coordinator Joe Moorhead as head coach to replace Dan Mullen got rave reviews, and considering Clanga has a star QB in Nick Fitzgerald and a top running back in Aeris Williams, the Bulldogs might do all sorts of clanga-ing this season. Who’s Not: LSU It does not look great on the offensive side of the ball, where the transfer of Ohio State backup QB Joe Burrow counts as adding some explosiveness to the offense. Not even top defensive coordinator Dave Aranda is going to be able to work around their scoring woes. Mild Sauce: Missouri & South Carolina Let’s slow our roll on saying that Georgia has legitimate challengers in the East. Drew Lock and Jake Bentley give the Tigers and Gamecocks a chance to score plenty of points, but Mizzou will need to prove it can stop anybody, and Cocky has to actually show it will consistently move the ball. Best Future Pro: A.J. Brown, WR, Ole Miss While the quarterbacking class of Lock, Bentley, Fitzgerald, Jake Fromm and Jarrett Stidham is tempting to pick from, Brown looks like a game-changing, Larry Fitzgerald-type receiver when he’s at his best. Like Fitz, he’s worth the price of admission alone, no matter how good his team is. Best Player: Jeffery Simmons, DT, Mississippi State If we’re talking about Absolute Units, Simmons and his senior end partner Montez Sweat have to be part of the conversation. They each have pro ability, but Simmons looks like a first-round lock. Champion: Alabama The Tide will collide with Georgia again, this time in the SEC championship game. Letting Tua Tagovailoa run the offense gives ‘Bama a better chance at being explosive, and while both defenses will be doing some notable reloading, the ‘Dawgs won’t quite have enough in the tank this year to get over the Saban hump. 25. Fresno State Tedford and the Bulldogs scored points in bunches but don’t have enough to avenge last year’s Mountain West title-game loss. 22. Penn State Not only does McSorely need playmakers to step up and replace Saquon Barkley, DaeSean Hamilton and Mike Gesicki, but who joins edge rusher Shareef Miller as game-changers on defense? 21. South Carolina Deebo Samuel is one of the most electrifying playmakers in the nation and the top reason that this will be the best offensive team Will Muschamp has ever had. 20. Oregon Justin Herbert is a top-flight QB prospect and will lead a top-flight offense, but first-year head coach Mario Cristobal needs defensive coordinator Jim Leavitt’s unit to break out in a big way. 19. Auburn How in the world does Gus Malzahn replace all those carries for All-American back Kerryon Johnson? The defensive front 7 is stout, but Malzahn has yet to show us he’s willing to run a pass-first offense. 18. West Virginia Alabama transfer T.J. Simmons joins Sills, Gary Jennings and Marcus Simms to make the Mountaineers the deepest receiving corps in the country. The key is if transfers on defense prove to be big-time as well. 17. Florida Atlantic While they’ll be the second-best Group of 5 team in the country, the Owls are going to throw scares into the big boys on their schedule and boat-race the rest of C-USA. JOOEEEEEEEEEEY FRRRRRRRRRESHWATERRRRRRRRRRRRRR. 16. Notre Dame Until the Irish prove they can be balanced on offense, they’ll be forced to play a lot of ugly games where their defense looks solid but they can’t move the ball running behind a new-look offensive line. 15. Mississippi State They truly look like a team just on the outside looking in with the talent at the top of the SEC, so in many ways the Bulldogs might be the best team on this list not in the NY6 part of the rankings. 14. Miami (FL) Malik Rosier and Travis Homer mean they will do just enough on offense to pair with athletes like Shaq Quarterman and Joe Jackson on defense that will make the Turnover Chain prominent again, but it won’t be enough to avoid at least 2 losses pre-ACC championship game. 13. Ohio State Yes, I have them undervalued, and yes, Dwayne Haskins should be a fine replacement for J.T. Barrett, but let me ask you: do you really want to see this program as a playoff favorite right now? 12. Boise State The Broncos can be more than just the best Group of 5 team in the land if they roll through their scheduled without a hiccup-their name brand can give them a chance to be in the playoff discussion. 11. Washington Find me some big-time playmakers out wide for Browning in the vein of John Ross and Dante Pettis, and I’ll tell you the Huskies are the Pac-12 favorites. 10. Michigan State Sparty’s going to pound some teams into submission, and a favorable schedule including a home date with Ohio State makes this a potential big-time season. 9. USC Highly-touted freshman JT Daniels should step in and pull a Sam Darnold, meaning the Trojans will be in the thick of the playoff race all season long. 8. Oklahoma Murray taking over for Mayfield isn’t the concern-it’s a defense that was just barely in the top half of the nation last season and has some significant reloading to do. 7. Wisconsin Badger Bully Ball will yield all but one or two key wins down the stretch. 6. TCU The Frogs become the Power 5 champion left on the outside looking in, but just barely thanks to a strong schedule. 5. Georgia A winner-take-all SEC championship game ruins an otherwise perfect season for the ‘Dawgs, but the Sugar Bowl and a chance to angrily stomp TCU isn’t really that bad a consolation prize. 4. Michigan Patterson has weapons on the perimeter like Tarik Black and Donovan Peoples-Jones to pair with a fierce rushing attack of Higdon and Chris Evans. The defense stays in the top 5 in the country on their way to Harbaugh finally overcoming his rivals and claiming the Big Ten. 3. Stanford If you’re fully aware that the Cardinal are coming downhill with Love and over 1,000 pounds of offensive lineman and tight ends but you couldn’t stop it before, why will it work now? The defense proves to be tough as well as David Shaw reclaims the Pac-12 throne. 2. Alabama While I’d never be so boring as to actually pick the Tide to win it all (because there’s nothing satisfying about being right when the sun comes up), I will get them back to the title game for the second straight year because this has a chance to be the best offense under Saban. Title-game hero DeVonta Smith joins Henry Ruggs and Jerry Jeudy out wide to give Tagovailoa plenty of options to sling it with, even if Saban wants a run-first attack powered by Damien and Najee’ Harris (no relation). Still, there’s concern about the youth on the back end. JUCO transfer Saivion Smith needs to be an instant-impact corner for the secondary to coalesce. 1. Clemson Excluding the large men on the defensive front, Mitch Hyatt and Justin Falcinelli power one of the nation’s best offensive line, paving huge holes for Tavien Feaster and star-in-the-making Travis Etienne to run wild. What will prove to be the difference for the Tigers is once again beating ‘Bama is if Dabo Swinney is willing to go from a good option at QB in Bryant to a potentially great one. Sophomore Hunter Johnson and freshman Trevor Lawrence looked the part of downfield passer in offseason workouts that Bryant hasn’t, so if Swinney puts the trigger and makes a change at signal-caller, not even Saban and the Tide is stopping the Absolute Units from Death Valley. This is a weekly series of five lists of essential information for the coming college football weekend. This week, YEA WE’RE COMIIIIINNNNN. TO YA CITAAAAAYYYYY. Josh Allen If you need something to stare at in an otherwise uneventful slate of early Saturday games, Wyoming’s visit to Iowa could be of some use, especially if you just happen to be an NFL scout. The Cowboys’ junior quarterback threw for over 3,200 yards and 28 touchdowns last season in guiding Wyoming to the Mountain West championship game and catching the eye of pro talent evaluators. Improving on last year’s 56% completion percentage and 15 interceptions gives Allen a chance to be the top quarterback prospect in the 2018 draft. Feleipe Franks The newest starting quarterback of the Florida Gators is a redshirt freshman who will be down 10 teammates after sweeping suspensions thinned the Gators’ roster heading into a showdown with Michigan. Franks has to be the real deal right away if Florida wants to escape Arlington, Texas with a win. Cam Akers & Najee Harris These two names only sound familiar if you follow recruiting closely, but everyone’s going to know about these guys soon enough. The top -two running back recruits in the nation and top overall incoming freshman outside of UCLA defensive lineman Jaelan Phillips will share the same field Saturday night, as Akers takes over for Dalvin Cook at Florida State while Harris joins the mix at Alabama. Jerry Jeudy The other impact freshman on the field in Atlanta will be yet another highly-touted receiver recruit for the Crimson Tide from South Florida. If Jeudy follows in the footsteps of Amari Cooper and new teammate Calvin Ridley, his 134 yards and 2 touchdowns in the spring game won’t be a fluke, but the norm. Indiana started fast The Hoosiers averaged 334 yards passing and 32 points per game in their first 3 contests of 2016. Playing that well again should generate enough points to at least stay within striking distance of the Buckeyes. 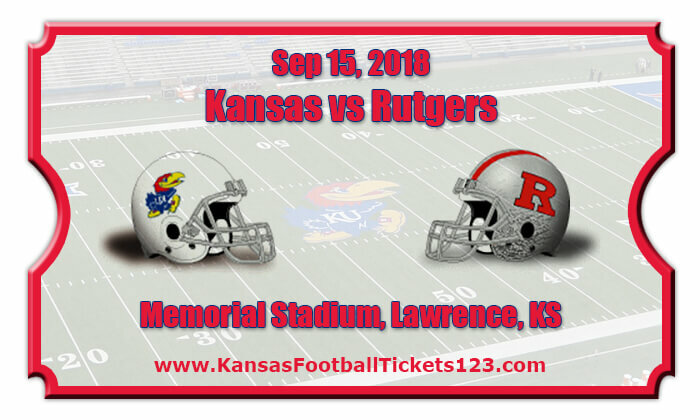 Richard Lagow plays fairly well against top teams The senior quarterback threw for 1,137 yards and 7 TDs against 4 picks against AP-ranked opponents last season. He’s obviously going to need to be better than that, but it’s a starting place. Nick Westbrook is a stud The junior receiver grabbed 54 passes for 995 yards last year but only had 2 catches in last year’s loss to Ohio State. He needs to see the ball more for Indiana to have any chance. The Ohio State offense will look familiar The Buckeyes’ new offensive coordinator is recently canned Hoosiers head man Kevin Wilson. Depending on how much Urban Meyer changes what Wilson runs, the Indiana defense will be rather well acquainted with what OSU is running, considering they saw it in practice every day last season. The Big Ten really needs something dramatic to happen Things didn’t go very smoothly when the Big Ten announced primetime Friday-night games were being added to the conference schedule starting this year, with schools like Michigan and Penn State flat-out refusing to play. If Indiana scores a win with everyone watching (albeit on Labor Day weekend when many schools play mid-week games), the conference will feel like they got a shot in the arm in moving forward with primetime games during the week. Antonio Callaway Pretty obvious that losing one of the best receivers and kick returners in the country would hurt. Callaway has got figure out his off-field problems. He’s missed time before due to suspensions. and a guy with nearly 1,400 career receiving yards and an average of about 16 yards a catch needs to be on the field. Jordan Scarlett Nothing quite like breaking in a new starting quarterback against a team that has the top-ranked defense in the nation a year ago and not having last year’s near-1,00-yard back available as a security blanket. Keivonnis Davis The junior defensive lineman started five games last season and made 27 tackles, including getting a half-sack versus Alabama in the SEC championship game and forcing a fumble against Iowa in the Outback Bowl win. James Robinson The freshman was expected to add depth to the receiving corps, which means Franks loses one more weapon he might need to move the ball against the stingy Wolverines. Richard Desir-Jones If injury happens along the offensive line, Desir-Jones would have been one of the next men up after appearing in 2 games last season. Whose quarterback got better? When Deondre Francois wasn’t flat on his back due to poor pass protection, the Seminole signal-caller actually had a decent freshman season, passing for 3,350 yards and accounting for 25 total touchdowns. If he takes a step forward, he can’t be the best part of the Florida State offense. Meanwhile, Jalen Hurts was an absolute force running the ball last year with 954 yards and 13 TDs. But there is plenty of room to grow as a passer, so it’ll be interesting to see how he developed working under new offensive coordinator and former New England Patriots assistant Brian Daboll. Of course it comes down to running the ball Florida State will ask Akers and Jacques Patrick to not only fill Cook’s enormous shoes, but also be able to consistently gain yards on the top run defense in the country each of the last 2 seasons. On the flip side, ‘Bama’s got way too many talented runners in Bo Scarborough, Damien and Najee Harris and Joshua Jacobs to not be pounding the rock all night long. Speaking of Bo… Over his final 7 games played last year, Scarborough rushed for 648 yards and 7 touchdowns, but he also did so while averaging a little less than 7-and-a-half yards per carry. A man of his size (6’2″, 235 lbs) having speed and quick feet is what made Derrick Henry special. If that ended in a Heisman, why can’t it do so here too? Who is Francois throwing the ball to? Outside of tight end Ryan Izzo and wideouts Auden Tate and Nyqwan Murray, there aren’t many returning weapons to catch the ball. Junior-college transfer Da’Vante Phillips was expected to add a boost to the receiving corps, but he’s suspended. Third-down passing situations The ‘Noles lost 3 starters off an offensive line that did a wretched job protecting Francois in 2016, yielding 36 sacks. Meanwhile, if Hurts hasn’t progressed in a significant way as a passer, FSU boasts a defensive line as good as ‘Bama’s, led by Josh Sweat, Brian Burns, Derrick Nnadi and Demarcus Christmas.